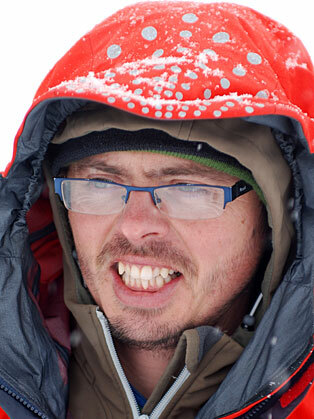 In 2002 Andy undertook one of the hardest climbs in Europe: a 15 day winter ascent of the West face of the Dru. This 1000 metre pillar pushed him and his partner to their limits and was featured in the award winning film 'Cold Haul'. Andy has also taken part in many expeditions, including four winter expeditions to Patagonia, a crossing of Greenland, first ascents in Antarctica, and to many nights spent suffering to mention. The stories that Andy has brought back from these expeditions have become modern classics in the climbing world and have brought new meaning to the words 'epic' and 'cold'.